Hunting of any type, whether terrestrial or underwater, is made super easy when aided by a game camera. By underwater, we of course mean fish hunting or fishing. 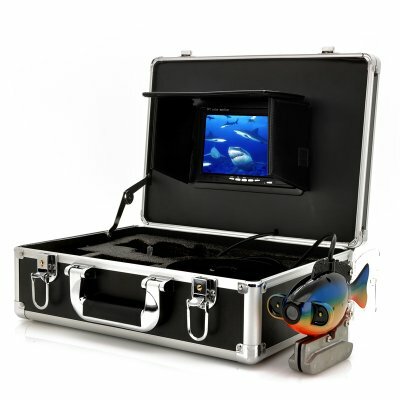 Won’t you be able to find more fish when you have a camera set underwater to find location of fish? Fish species like panfish, perch, crappie and walleye and bottom feeders can be tough to find otherwise, but with an underwater camera they can be easily located before you cast. So, if fishing at bottom is concerned an underwater game camera is of tremendous use. Though there is a wide variety of fishing cams, they work in almost similar way and also are deployed in the similar manner. Hold the lowering cables’ tag end which are fixed to the camera and in several cases consist of grip handles to facilitate easy handling. Descend the underwater game camera below the surface of water. Form slack on the cables till you get sufficient length for the underwater camera to acquire the desired depth in water, preferably within some inches below your fishing hook. 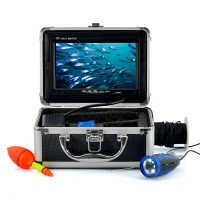 Set the camera at the desired depth in the water and lock the cam into place as per the instructions of manufacturer. You will have to wait for many minutes for a reading to be displayed because the water around the camera should settle. Analyze the size and shape of surrounding fish and be aware of the quantity of fish moving around the area which you have chosen for monitoring. Be keen in searching for rocks, brush and other bottom objects where large game fish tend to hide to take shelter. Let the camera descend till it reaches about 2 to 3 inches above the bottom. Though underwater cameras are protected against water and sand damage, a hard hit on a rocky floor or other object could lead to damage. Place the underwater game cam in the smaller hole. Settle it down at the same depth as that of your bait, and also pointing to the same direction as that of your bait. Through your camera, you can pay attention to how fish respond to the bait, any signs of interest and movement near your fishing hook. Fish are more interested in food that is aromatic as well as visually appealing. You can get added help with the zoom and night mode features in finding fish. You can use underwater game fish cam for river and lake as well as ice fishing. While lowering the camera, be careful, because a hard hit can result in damage to the precious gadget.